Virgil van Dijk didn’t exactly cover himself in glory as Liverpool conceded the first goal to Swansea City in their Premier League clash this evening. The Netherlands international cost a whopping £75million to sign from Southampton this January (fee per BBC Sport), but looked just as unconvincing from set-pieces as the players he was being brought in to replace. For all Liverpool’s fine form up front this season, Jurgen Klopp was clearly prepared to spend big on replacing the likes of Dejan Lovren after some shocking defensive display earlier in the campaign. 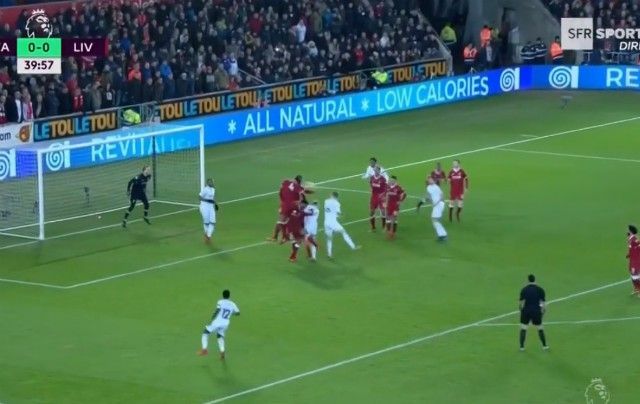 However, Van Dijk certainly needs to do much better than this, as his weak headed clearance allowed Swansea to take the lead through this scrappy Mawson goal this evening. Liverpool are still very much in this game, but fans will hope to see more from their expensive January signing soon.